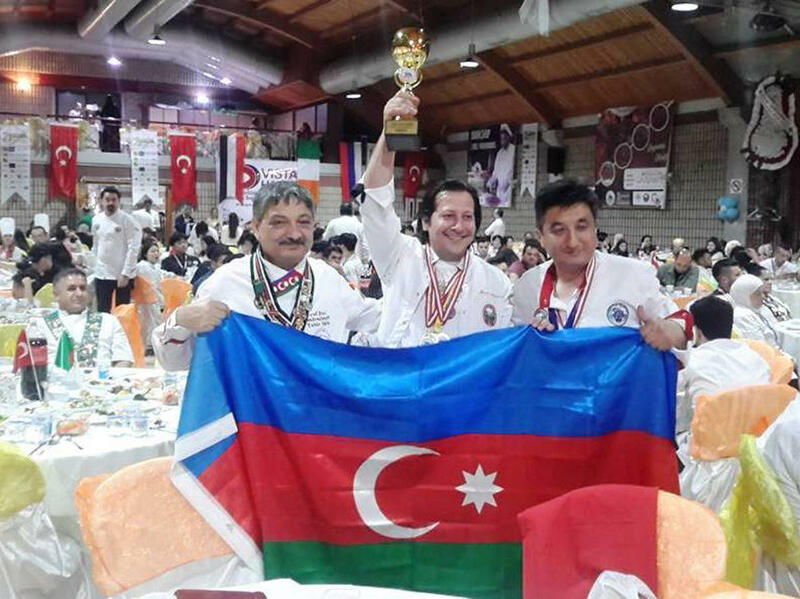 Azerbaijani chefs have successfully performed at the international culinary competitions held in Izmir, Turkey. Representatives from more than 40 countries of the world participated in the championship, including Azerbaijan, Turkey, Great Britain, Ukraine, Brazil, Israel, Poland, the U.S., Egypt, Iran, and Georgia. 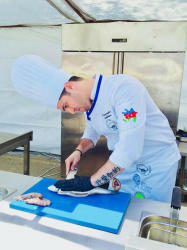 Azerbaijan was represented by five culinary specialists who competed in eight categories and classes. Araz Ahmadov won the gold medal and cup with the highest score. He was named the "Best Culinary Master of 2018". 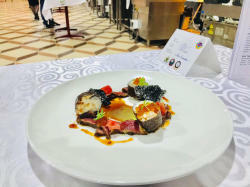 He also won a gold medal in the category "Modern Cuisine". 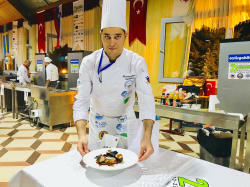 Sarhan Mammadov was awarded with gold medals in the classes "Culinary of the Year", "Fish dishes" and "Asian cuisine". 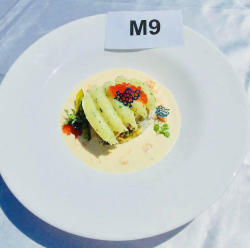 At the competition for culinary art, Azer Gadirov presented the work "The Flower of the Orchid" and grabbed a silver medal. 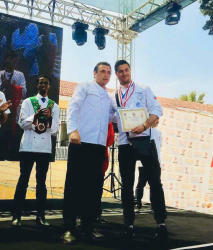 He also won a gold medal in the class "Culinary of the Year." Azerbaijani team also won a gold medal in the Black Box category. 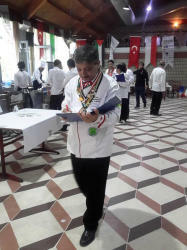 According to the results of the championship, national chefs won one silver and seven gold medals. 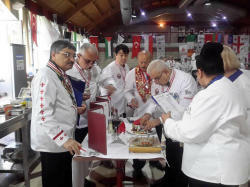 The country at the competition was represented by the President of the National Cooking Association, the head of the National Cooking Center, the Honored Worker of Culture of Azerbaijan Tahir Amiraslanov and the culinary expert Gulnara Alasgarova. 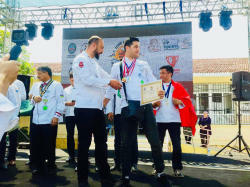 National chefs also took part in another culinary contest in Izmir in three categories: "Cuisine - modern", "Flour products" and "Dessert". 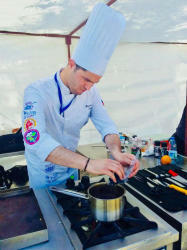 They competed with the culinary specialists from Turkey, Lebanon, Bosnia and Herzegovina and other countries. 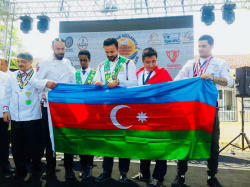 Araz Ahmadov won three silver medals in three classes of competitions, Sarhan Mammadov won a gold medal in the categories "Modern Cuisine" and "Desert" and silver in the category "Flour Products". 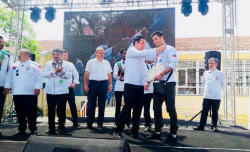 As a result, national chefs won nine gold and five silver medals.